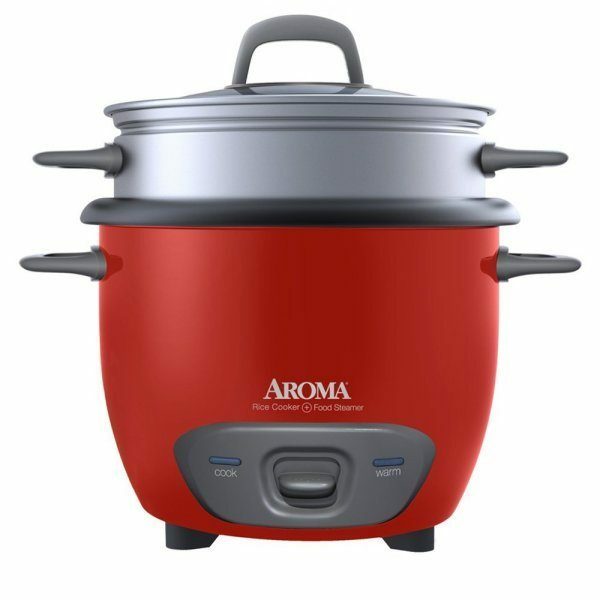 Aroma 6-Cup Rice Cooker and Food Steamer Only $16.71 (Reg. $66) + FREE Prime Shipping! You are here: Home / Great Deals / Amazon Deals / Aroma 6-Cup Rice Cooker and Food Steamer Only $16.71 (Reg. $66) + FREE Prime Shipping! Easily cook rice and keep it warm with the Aroma 6-Cup Rice Cooker and Food Steamer , now priced at just $16.71 (reg. $66)! And, shipping is FREE with Amazon Prime or Super Saver Shipping! This is also a great way to steam veggies to go with your rice to make dinner a one-pot meal! I love that you can make an entire meal and only have 1 pot to clean!